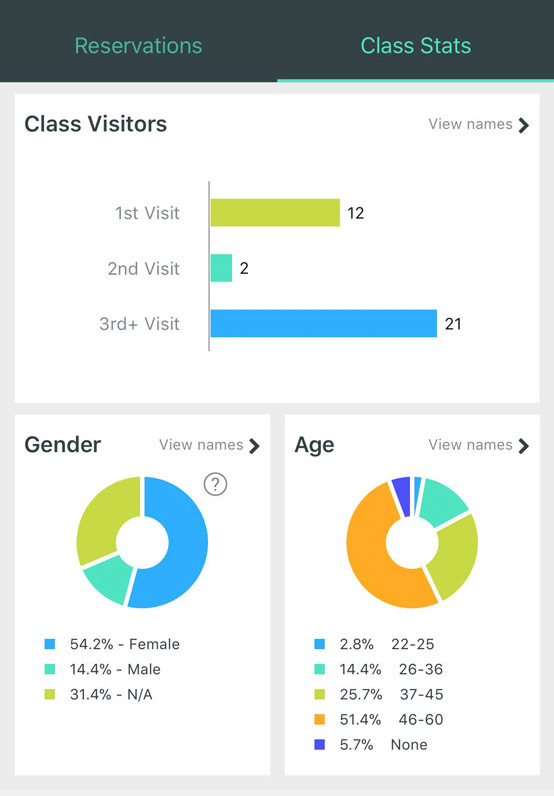 Under the Classes Tab you can access class statistics such as age, gender, and frequency of visit. Click on the class you would like to view and toggle over to Class Stats to see a demographic breakdown of the clients in that particular class. You can click on each of the boxes to view a detailed list of client names in each category. Pro Tip: Use these insights to better prepare for your classes by preparing modifications and knowing who is new or returning for a second time!